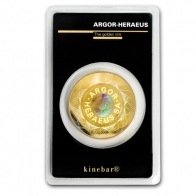 Buy Kinebars manufactured by Argor Heraeus. 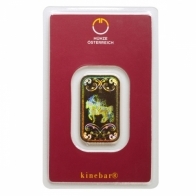 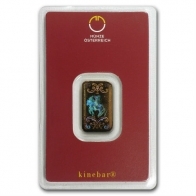 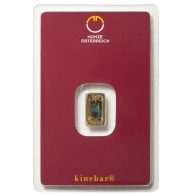 A kinebar is a gold bullion bar with an image or logo inscribed using a laser onto the bar that is virtually impossible to replicate. 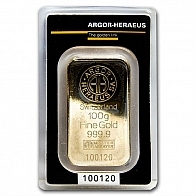 This technology is owned by Argor Heraeus and is only available on bars manufactured by them. 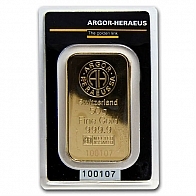 The Austrian Mint and UBS both issue Kinebars manufactured by Argor Heraeus for gold bullion investors. 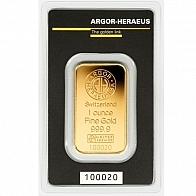 Bars may be purchased for tax-free storage in Switzerland or for delivery worldwide.